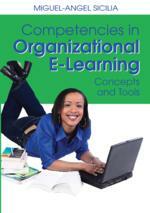 In education as well as in Human Resource Management the concept of competency is becoming more and more important. However competency is a fuzzy concept that lacks coherent terminology and is used in many different meanings. In the first part of this chapter competency is defined as a multi-dimensional construct with five dimensions: specificity, coherency, durability, activity and trainability. Then two approaches are presented to establish the competencies organisations or educational institutes should address :the function-based approach which focuses requirements for good performance in a specific function and the employee based approach which focuses on individual competencies for excellent performers. Finally it is argued that a competency based curriculum should move towards self-directed competency-based learning (SDCBL), using personal learning plans and adopting the flexible learning opportunities of e-learning. However SDCBL can only be successful when learners can be taught to be responsible managers and owners of their own learning process.